Ontology versions are periodically released to ensure their usefulness and reliability over time. This potentially impacts dependent artefacts such as mappings and annotations. Dealing with requires to finely characterize ontology entities’ changes between ontology versions. 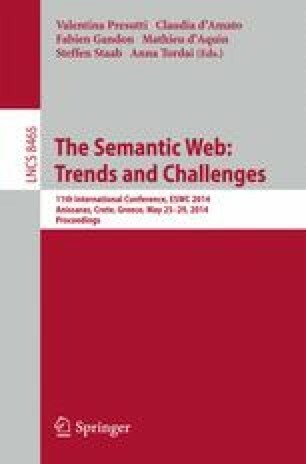 This article proposes to identify change patterns at attribute values when an ontology evolves, to track textual statements describing concepts. We empirically evaluate our approach by using biomedical ontologies, for which new ontology versions are frequently released. Our achieved results suggest the feasibility of the proposed techniques.